July is a month that I’m going to be happy to leave behind, for obvious reasons. It’s not been easy, but books have as always been a place to hide. I’ve found non-fiction to be quite a support and I’ll catch up on the reviewing eventually. 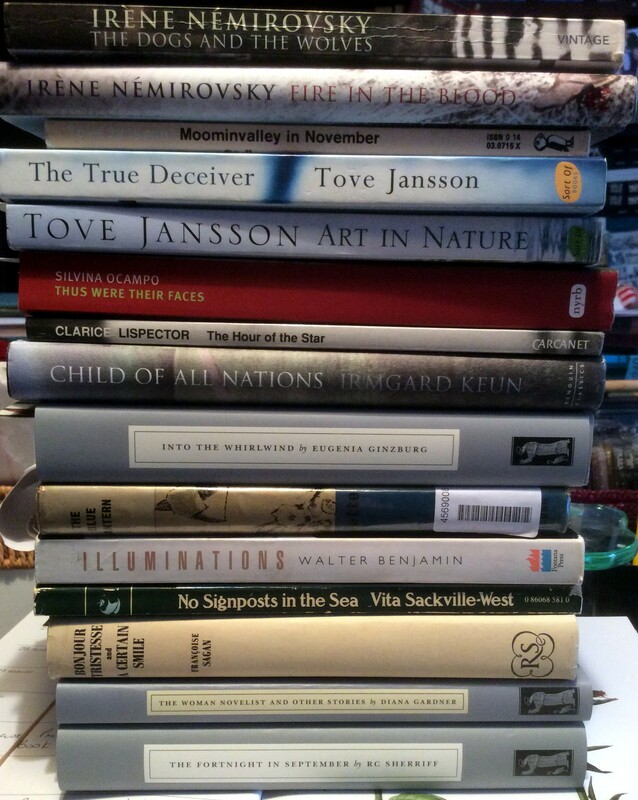 August, however, is traditionally designated as “All Virago/All August” as readers of this blog will know and we members of the LibraryThing VMC group always try to read as many Viragos or Persephones as we can this month. I, of course, being rubbish at challenges never commit to a whole month of these books, but I’ll try my best to fit some in. Russia in the 1930s was not a comfortable place for writers to be. The Soviet authorities spent much of the decade purging and cracking down, and being in the arts was no guarantee of safety. 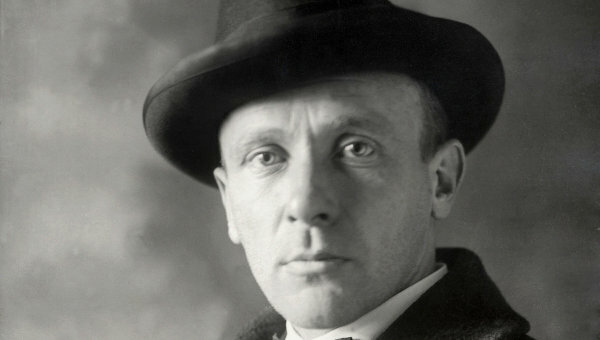 Many great writers (Babel, Mandelstam, Pilnyak) and other luminaries of the art world (including the director Meyerhold) were victims of the terror, and one of the surprises is that the magnificent author Bulgakov survived the purges, to die of natural causes in 1940. What’s also amazing is that so much of his work survived; and his novels, novellas and plays are now widely available. 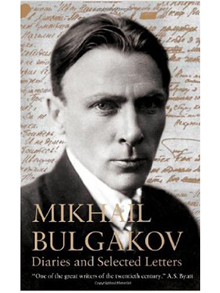 Additionally, a lovely recent volume from Alma Classics (which my brother kindly presented me with on my birthday) brings together some surviving diary entries and a selection of letters – all of which are a great joy to any lover of Bulgakov’s work. MB was never from the working class; a qualified doctor with decided upper class tendencies, he was thrown into the hell of the revolution and civil war, surviving by treating whoever needed treating and eventually making his way to Moscow where he tried to carve out a new life for himself. The diary entries run from 1921 to December 1925; nothing exists after this point as his apartment was raided in May 1926 and his diaries confiscated. Thereafter, up until the time of his untimely death in 1940, we see inside Bulgakov’s head via his letters, to everyone from his wife and his brother, to Stalin and the authorities. And these writings certainly enable us to follow Bulgakov’s emotional journey through life; the ups and downs of his psyche, his attempts to become a writer, to make a living out of this art, and his terrible frustrations at the restrictions he faced. For under Soviet rule Bulgakov became in his own words “unthinkable”. His plays were going to be staged, and then were cancelled. Nobody would publish his work. He burned the first draft of his great novel “The Master and Margarita”. He tried writing biographies. 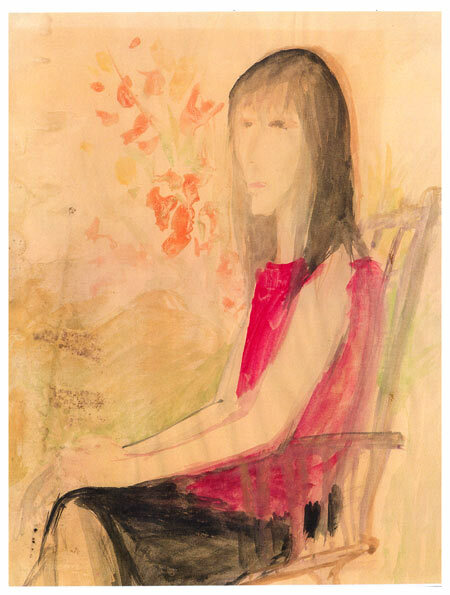 But nothing worked – he could barely scrape along, he was not allowed to travel abroad and frankly it’s surprising he found the strength to produce so many wonderful works. I would scarcely be presenting myself to the government of the USSR in a favourable light, were I to write a mendacious letter which was nothing more that an unsavoury and, what’s more, a naive political about-face. And I have not even made any attempt to write a communist play, fully aware that I would never be able to do such a thing. It is my duty as a writer to fight against censorship, whatever form it may take, and whatever authority it may represent, just as it is to call for freedom of the press. I am fervent believer in such a freedom and I maintain that if any writer were to think of showing that he didn’t need it, then he would be like a fish declaring publicly that it doesn’t need water. About 327 pages of typescript are lying in front of me (about 22 chapters). If I stay fit and healthy the typing will soon be finished. Then the most important thing will remain: the author’s correction of the manuscript – important, complicated and painstaking work, including possibly retyping some pages. “What’s going to happen to it?” you ask. I don’t know. You’ll probably put it away in your desk or in the cupboard, together with all the rejected plays, and you’ll think about it from time to time. However, we don’t know the future. Bulgakov was clear-eyed enough to know that his work was unlikely to be read in his lifetime; and indeed many Russian authors wrote “for the drawer (i.e. posterity). Bulgakov certainly didn’t *know* the future, but at least he had enough faith in it to get his works down on paper for us to read nowadays. This is a truly wonderful collection from Alma, translated by Roger Cockrell. The notes are copious and informative, there is a lovely plate section, and “Diaries and Selected Letters” gives a real insight into Bulgakov’s life, work and struggles. It’s sad to read of his frustrations and difficulties during his life, but the insight gained from this collection certainly will add to my future readings of Bulgakov – and I think a re-reading of “The Master and Margarita” is definitely overdue. Virginia Woolf is best known for her novels, the writing of which often caused a huge amount of strain to her already fragile health. 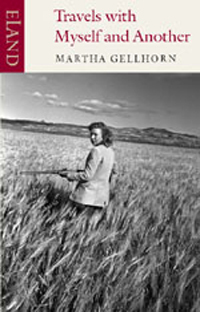 Her short stories were often written as a kind of relaxation, during or after a novel, and she often seemed to dismiss them, unsure of their quality. However, my memories of reading them (many moons ago) is that they were anything but minor works, and a chance stumble upon a copy of “Selected Short Stories” made me determined to return to her shorter writings. 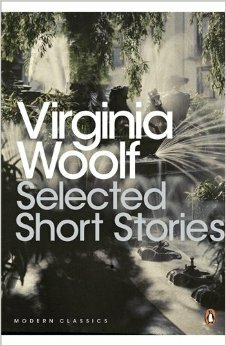 I first read Woolf’s short stories in a collected volume “A Haunted House and other Stories”, collected by Leonard Woof after Virginia’s death (my edition was a small Triad Panther copy – in fact, most of my first Woolfs were from this publisher). This collected together many of the stories which are in the Penguin Selected Short Stories volume I have, but as I can remember so little about my early readings I thought in some ways this might be like a fresh reading. And fresh is the word! 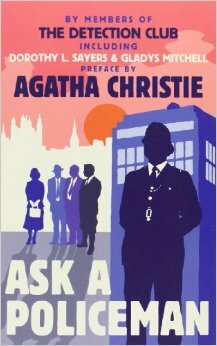 The Selected volume is a lovely one, with an excellent introduction by Sandra Kemp setting out the background to the stories. The book reproduces Woolf’s 1921 collection “Monday or Tuesday”, complete with original woodcuts by Vanessa Bell; and in addition there are 7 extra stories, in order of publication. The notes are informative, giving original publication dates, background and context plus specifics about each piece. But what of the stories themselves? Well, some are short experimental pieces, no longer than a page; others are more substantial works; all are dazzling and brilliant. Woolf used her shorter fiction to make early experiments in writing, using techniques she would later incorporate into her novels as she became more adventurous. The short prose pieces are the results of a writer playing with words, seeing how she can stretch sentences into different shapes to catch those moments of being, those everyday pieces of life that seem more vivid that the quotidian. And Woolf could play with words like no other, using them to draw out thought processes and tease meaning out of the seemingly banal. Some of the stories have plot (“Lapin and Lappinova”, still one of the saddest stories I’ve ever read; “The Duchess and the Jeweller”, something of a parable about how we deceive ourselves and each other). Some are meditations, capturing the way mind flits around from subject to subject, musing randomly (“The Mark on the Wall”). Each is a joy to read, and it’s wonderful to see Bell’s woodcuts complementing her sister’s words, and also to encounter the quite beautiful prose of word paintings like “Blue and Green”. I was spellbound by this collection and came out of it stunned once again by the genius of Woolf’s writing; her way with words, her spiralling flight of fancy, is truly unique and I don’t think there’s another writer to touch her. Picking out quotes would defeat the object and spoil the effect of reading her pieces, where every word is considered and perfectly placed. It’s all too easy to get distracted by the many books you read, to forget how truly great some authors’ works can be; but going back to Virginia Woolf’s shorter fictions was a revelation, and I’m certainly not going to leave it so long before re-reading more of her writing. … to everyone who left such kind comments on my post about the loss of my father. All your lovely words were so much appreciated. It *has* been a hard week, supporting mum and trying to come to terms with things. The offspring and OH have of course been wonderful and although there is much grief, there is also a sense of relief that he’s no longer suffering. Dad had had several small strokes over the years, becoming ever more frail, and seeing someone you love lose their faculties is painful. 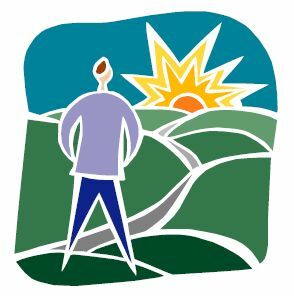 Mum had taken on the burden of caring for him, and although she’s lost her life partner, she has memories of an amazing life of travelling, living, bringing up her children, all with my dad. Dad always had a great love of travel and rambling, and we’ll be seeing him off on his final voyage next week. Meantime, we’re trying to get back as close to normal as possible as he’d want that. So thanks once again for your kind words, all.